Condo is located on the first floor and it’s an end unit closest to stairs and beach road. The area and condo itself are friendly for all! You can see beach road in this picture. The water is just on the other side of those homes. Beach access is one block up. A very quick walk! Clark St Beach Access looking back towards condo. Would you like accommodations cheaper than a hotel? Would you like to have some money left over from your booking, so that you can enjoy some meals out at the local eateries? Perhaps some fresh seafood prepared in the fully stocked kitchen? M Villa OBX is located at mile marker 8.5 between the highways (beach road and hwy 158), in the Station One condos and close to all. First floor end unit. 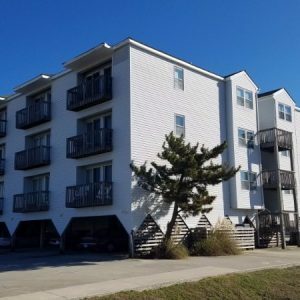 5 minute walk to beach access! Close to great restaurants, local seafood and shopping! Visit the Wright Brothers National Memorial, NC Aquarium on Roanoke Island, first US colony at Fort Raleigh, wild Mustangs on the beach, Jockey’s Ridge State Park, and more. Condo offers a King size master with private bath, a 2nd Queen bedroom with full bath and a full size sleeper sofa in the living room. Both bedrooms lead to outside balcony. Free use stacked washer/dryer unit in the condo as well as free wifi and high speed internet. The living room has a 40″ LED TV with BlueRay/DVD player and Google Chromecast as well as DirecTV NOW “cable” and Amazon Prime video access. Stereo is available as well if you’re wanting to listen to some music. Board games and Atari console for entertainment. Keurig coffee maker that utilizes K cups. Warm heat for those cooler fall or spring nights as well as cold AC offering relief on those hot summer days. Also for your convenience and security, we offer a keyless entry system. Parking is located under the building for shade and to keep out of the elements. There are extended parking areas all around the building itself. Plenty of space to store your bicycles or kayaks either under the building. Showers located in the parking area under the building too for rinsing off after a day at the beach. No Pets and no smoking. Minimum age to rent is 25. Plenty of living space to spread out and relax. This includes dining space as well. Whether you’re in the King master or the Queen guest bedroom, both open up to the outside balcony. Sliders are present in both, affording you natural light and fresh air. We are truly in the middle of it all. You can drive 35 minutes North and head into Corolla and see the Wild Spanish Mustangs. Or head South 45 minutes and visit the Cape Hatteras Lighthouse. Less than a mile from the condo, you can visit the Wright Brothers Memorial. 20 minutes away is the Aquarium on Roanoke Island as well as the Lost Colony open theater drama. The first settlement is there too. Want to go hand gliding or climb the tallest natural dune on the East Coast? Visit Jockey’s Ridge, just 10 minutes away. Want to walk some wooded trails out to the sound? 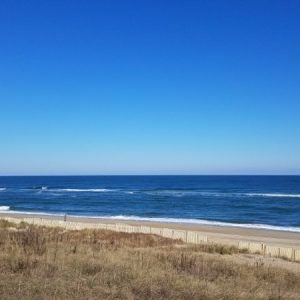 Visit the Nags Head Woods Conservancy, just a handful of minutes away. And of course you won’t want to miss all of the restaurants and shops within walking distance of the condo. Some of the best and favorite eateries are anywhere from a mile to a 10 minute drive. These experiences cannot be missed. Could use adult cutlery, only suggestion for improvement of kitchen supplies. -My response: Thank you for staying with us. I reached out to try to get more info about the kitchen supplies. The kitchen is indeed fully stocked with a chef’s knife, butcher’s knife and full set of steak knives. In addition there is a knife block with even more knives. I am not sure what else constitutes “adult cutlery”. If anyone should have any questions around this, I’d be happy to answer. We we’re lucky enough to reserve this beautiful little efficiency kind of last minute, for our anniversary, mini get away. Upon arriving we were pleasantly pleased with the cleanliness and the size of this unit. It was quiet , clean and very comfortable. It was stocked with everything we needed. Parking was great, very easy access and the little deck was perfect . We sit out and listened to the music from the little resteraunt next door. The keyless entry was very convenient. The owners are awesome . Very respondant to questions . We will def come back for a get away again it was marvelous . Thanks so much. We could not have asked for a more accommodating rental. Very, very well decorated and spacious. Everything was very clean. It really seemed as if we were at home. In thinking 70 degrees was going to be a little warm, we were afraid it would be warm and brought a small fan. We were very surprised that it was very comfortable and did not need our fan. We would highly recommend your Villa to people we thought worthy. Thank you so much for allowing us there. Staying here was so pleasant! It was so close to the beach walking there and back was very easy and nice. It was very close to many great places to go out and eat and many attractions. The place itself was very clean, we were worried it would be noise but there wasn’t much noise which was great. Me and my wife stayed here over Memorial day weekend with a couple friends. The condo is very nice and the perfect size for a weekend getaway. Plus, it’s only a block away from the beach! Aris was very helpful and easy to work with, and we enjoyed his recommendations for local restaurants and activities. I highly recommend checking it out. We will be back! This was a wonderful little condo very close to the beach and all sorts of fantastic places to eat. The condo was clean, well decorated, and downright cozy. We were thrilled with our stay, and cannot say enough great things about working with the Mantalvanos’. From the very start, Aris was incredibly professional, with answers to all of our questions – by far the most helpful host I have ever encountered! Before we even checked out we were already discussing plans for our return. Aris and Crystal have made repeat renters out of us. We can’t wait to come and stay again! Great stay! Aris was super communicative during the whole process. He was very detailed regarding expectations (i.e. cleaning) and provided lots of ideas of things do to do) in the Kill Devil Hills area. He was also very flexible as far as allowing me to reschedule as needed, which really helps due to me flying in from the West coast! The condo was orderly and had basically everything we needed. Make sure to bring linens, dish soap, a sponge and toiletries. The area is very relaxing and it was a nice, weekend getaway! I’d definitely recommend staying here as it is so close to everything – the beach and surrounding areas like the cutest town ever (Manteo). We loved walking around there with the Farmer’s Market on Saturday morning, dropping into some of the shops/boutiques, and also enjoyed being by the waterside. P.s. Despite some minor construction going on (repairs to one of of the stairways, it was a reasonably quiet and was overall a nice and safe condominium to stay at. We had the pleasure of staying in the rental April 8th-10th and although the weather was rainy, we did not even notice because of how much we enjoyed our stay at the Mantalvanos residence! It had every amenity we could have ever wanted with plenty of TV/entertainment options (which we heavily utilized due to the weather). Aris and Crystal were extremely helpful and kind with everything and they provided all the information we could have ever needed. They even have local recommendations for restaurants and things to do in case you are not familiar with the area in the information binder! 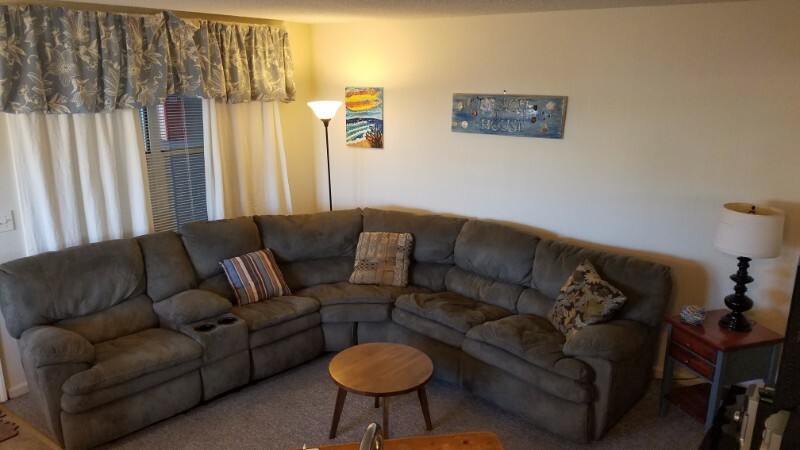 It is a beautiful rental that feels like home away from home. The communication from the owners was very fast, the cottage had everything we could need (my wife is cheap so we prepared more meals in than we ate out), but when we did go out we found plenty of awesome places to eat within walking distance. We planned this entire thing at the very last minute, and it was amazing how well it all worked out, my 4 year old had the time of his life. The condo was presented well. We did not do a lot of cooking, but it had all the basics that we needed for the week to include a corkscrew! Never a problem with parking. We appreciated how clean it was. Owner was very gracious in answering all my questions and provided good local information as I was not familiar with the area. We had such a fabulous visit. The owner was so accommodating and easy to get in touch with. He was available to answer any questions we had before, during and after our visit. The condo is just the right size for a small group. 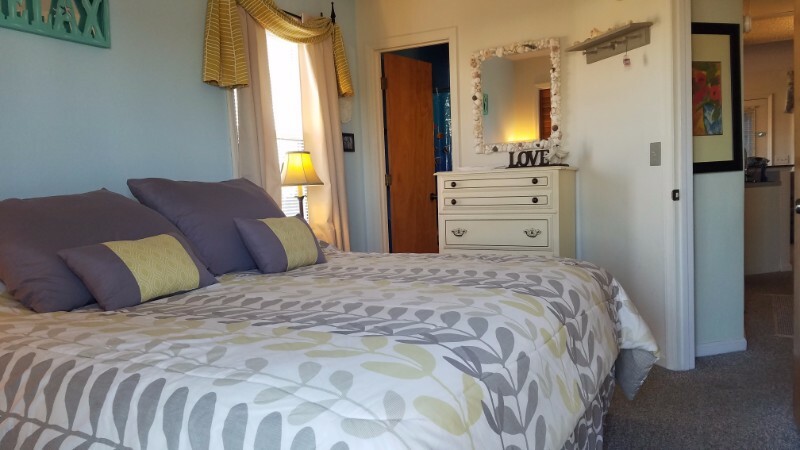 Very clean and accommodating with two full baths and bedrooms. It’s a short walk to the beach and surrounding restaurants and shops. We had a wonderful 3 days girl’s weekend and the condo was just right. I would highly recommend this property! We had an absolute blast during our Memorial Day trip. Because this was our first trip to Kill Devil Hills (and our first time booking a condo instead of a hotel), we were nervous, but Aris & Crystal were so helpful and kept in touch from start to finish. It was a relief to know that they were available if we had any questions or concerns. Everything was exceptional. The condo was clean, well-kept, and stocked perfectly for our little family getaway. With two grandparents and two kids in tow, it was the perfect size for everyone. Public beach access was convenient, as were all of the shops and restaurants we wanted to check out. I had a great stay. It was clean, nice, and a short walk to the beach. The only thing I could say would be to make sure you read what is included. We did not and realized when we got there that there were no linens or toiletries. So we had to go buy them. I would have given it a 5 star if that had been included. It makes a little more you have to pack. Otherwise it was a great stay and I would stay again. The condo was small especially the master bathroom but very clean. It is conveniently located close to the beach and near restaurants/shops. Aris was very helpful and accommodating. He made our check in/check out very easy especially since we had to check in very late on the first day. Only my husband and I stayed so it was perfect for us. We had a great time in OBX! But one of the great things about our trip was this lovely condo. It was clean, had EVERYTHING we needed and it is in the perfect location to go shopping, fishing, a short walking distance to the beach, and so much more! The building was very quiet which it was a plus for us. The attention and service we received from the owners was amazing. They were just a call, email, text away in case we needed information. We recommend this great place and we are already planning to go back next year. We had a great stay the the weather was fantastic. The condo was very clean and had everything we needed to enjoy our week. The beach was a 5 minute walk to the nearby public access making it easy to to go back and forth. Like the previous review, the key code lock was a nice touch making it easy for any of us to come and go, especially having children with us. 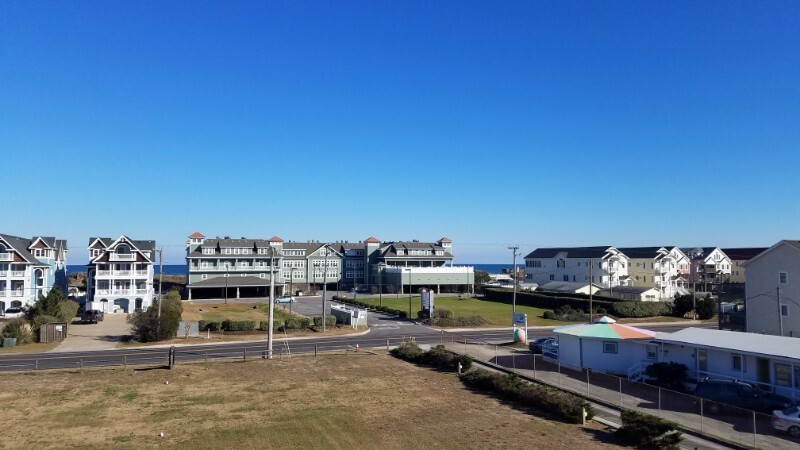 We will definitely keep this on our list of places to stay in OBX! We very much enjoyed our stay. All the furnishings were great. Both beds were comfortable. We used the TV, refrigerator, microwave, coffee maker, washer & dryer. All worked fine. The beach was a short walk away with the nearby public access. Overall the neighborhood was very quiet. We did hear a few noises from upstairs – the same you’d hear in a typical apartment. Just mentioning in case someone was a very light sleeper or otherwise not happy with hearing some noise from the neighbors – they might want a small fan for white noise, etc. The key code lock was a nice touch making it easy for any of us to come and go without having to keep up with a set of keys. Location was great. Several great restaurants were a short drive away. Overall, we loved it and would go back. Was extremely pleased with my stay and the personal service / help I got from Aris and Crystal. 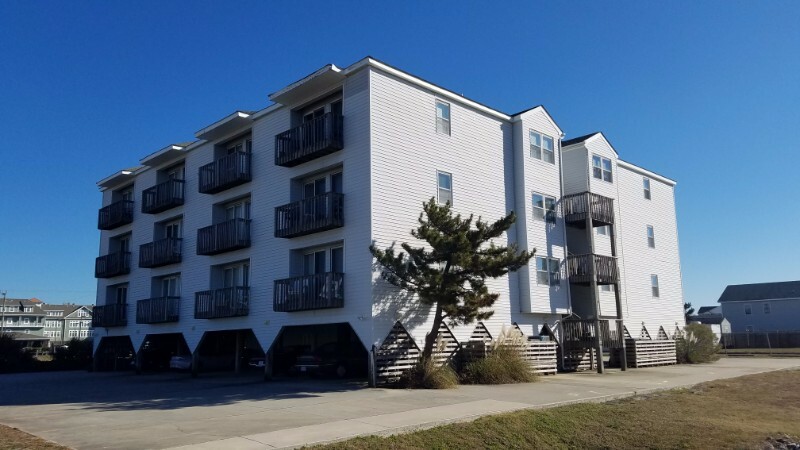 The condo was very clean, adequately equipped, stones throw from the beach, centrally placed from all the major attractions in OBX. I HIGHLY RECOMMEND this property. Aris went out of his way to find another apartment in the same building for my brother, this was a last minute plan. Really appreciate their help on this. Once we were checked in, Aris sent a message and wanted to check on the place etc. I have never received this kind of service before. We enjoyed relaxing at the beach, riding the waves, & searching for shells on our beach get away. The rental was clean, well equipped for meal prep and had comfortable beds and furniture in LR & DR areas. Great for four adults! We dined at Miller’s Steak & Seafood in KD Hills for Breakfast and dinner. Would do both again! Would recommend Tale of the Whale Restaurant on the sound in Nags Head. Would stay here again if had a small number of people for a beach vacation. Owners responded to questions quickly. My wife and I, along with my parents and niece, were looking for a place for all of us at OBX for a long weekend. M Villa OBX had great reviews on VRBO, and the property DEFINITELY lived up to its online reputation. Aris and Crystal were always available for questions leading up to the trip, and we knew we could always get in contact with them during the trip, if needed. The condo had plenty of space for our group, and even better, was in the middle of all that the KDH area had to offer. So glad we booked this property. It was perfect. This was our first trip to the OBX. 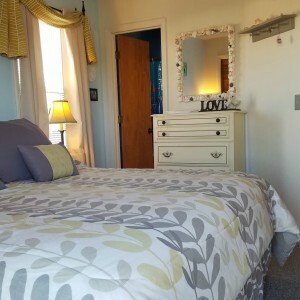 We wanted a comfortable place to stay that was conveniently located and reasonably priced. This condo delivered on all counts. We had a great stay with everything we needed and would absolutely stay here on our next visit. I don’t know why we would want to take a chance on another property. Anyone wanted to be in the thick of things and loving the water should stay here. I loved my morning walks on the beach to collect my shells. I loved my evening stands on the overpass to the beach and watching the sun set behind the beautiful clouds. I loved having somewhere comfortable to cook and relax and sleep. This was a great place with all right at hand. 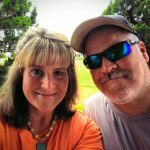 This was the first visit to the Outer Banks for husband and myself. The weather was warm but the condo was cool. It is located in a great area, convenient to many attractions and restaurants. It was extremely clean and the kitchen was well equipped. We will definitely be recommending this gem of a find to our friends. We decided two days before actually leaving that we wanted to spend the weekend at OBX. We did not want to spend a ton of money on a small hotel room. That’s when we found this amazing place! I messaged Aris and he was very helpful and got us in there the next day! It is located very close to the beach, we walked a few times and also drove to the public parking. I couldn’t have asked for a better stay! Thank you again Aris and Crystal! Can’t wait to go back! We really enjoyed our stay at your condo. It was in much better shape than the one we stayed in last year. Organized inside so we were not in each others way alot. I liked where your condo is, on the first floor and the first door coming up the stairs. Didn’t need to carry all our things up so many stairs and down the hallway. Beach access is convenient and Loved that they had showers there though so we could get most of the sand off before heading back to the condo. Loved being so close to the Wright Brothers Memorial area. Also there are so many stores right close to where we were if we needed anything. Thanks so much for a delightful time at the beach with some of my children and grandchildren. First of all, let me say that Aris supplied the best customer service of anyone we ever rented from. He was always quick to reply to my questions, and even contacted us after we checked in to make sure all was well! The condo is set up to maximize the space so it feels even bigger than it is. Everything was as good as or better than the photos depicted. The location was fabulous, a short walk to the beach and restaurants. The notecards throughout explaining how things worked (ie: remotes, where to find dryer filter etc..) were very helpful. And having the keypad for entry was also a big plus! You can head off to the beach with no worries of keeping track of a key, and there is no headache of finding a hidden key or mailing keys back and forth etc. Also, the kitchen was well stocked, with the only item we found lacking was there was no corkscrew.. but that was easily remedied with a five minute run to the store 🙂 After a very stressful 12 months that included the loss of three family members and beloved dog that was family as well.. this was a great place to unwind, recharge and relax. I would stay here again, and I would recommend it to my family and friends. Thank you for running a great rental home! We enjoyed every minute of our 2 weeks vacation in the Outer Banks. 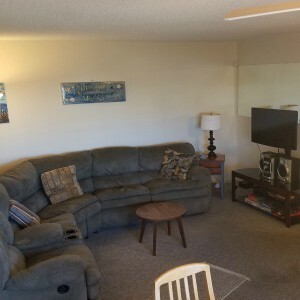 The condo has a great location: a 6 minutes walk and you are seated on the beach and close to everything you need. The beach in this area is really nice. The condo was well equipped and the beds are very comfortable. The owners made everything they could to ensure that we were satisfied and are very opened to comments. Thanks! I can’t begin to tell you how much we enjoyed our stay. Your place was perfect and you are a most accommodating host. We left a note in the notebook and hope to get back soon. We were very pleased with your condo. Thank you again. It meant the world to all of us. I am keeping your contact information for future reference for myself and others. I highly recommend this rental unit. It is in a great location – the beach is across the street and eateries are within walking distance as well. The host was wonderful. He took a personal interest in making sure our stay would be comfortable. He was very approachable and his response time was the best I’ve ever experienced with a vacation rental. I would stay here again in a heartbeat!